• Did the nurse collect the appropriate assessment data? • Did he or she identify the problem? • Did he or she come up with a plan? • Did he or she carry out the plan? • Did he or she update the plan when the person’s condition changed? These are the holes in the nursing documentation that most often influence findings of liability and confuse the understanding of what happened to a patient. 1. The nurse did not time and date the record. The entries are not signed. 2. The nurse copied and pasted someone else’s electronic documentation including that person’s initials and details of a previous shift’s events. This is becoming an increasingly critical issue. 3. The nurse created a late entry without labeling it as such. The nurse hoped no one would recognize the information was added in after the fact. 4. Not paying attention to the identity of the patient, the nurse entered the information into the wrong chart, whether in paper or electronic form. 5. After reporting concerns to a supervisor or physician, the nurse did not document the name of the person. The attorney may have to take many extra depositions to determine who the nurse talked to. 6. The nurse did not record care he or she provided, such as drawing blood, starting an IV, or giving a medication. 7. In long-term care, the nurse recorded care as given after the nursing home resident left the building. Rote or careless charting makes the chart questionable. 8. The nurse left blanks on forms, making us wonder if the care was given and not recorded, or not given at all. 9. Illegible writing, spelling errors and lack of proofreading confused the details of care and impaired the important communication the chart was intended to provide. Lives can depend on the accuracy and legibility of chart entries. 10. The nurse used unapproved abbreviations, such as “KGH” for “keeps good health”. These abbreviations only serve to confuse others and may result in errors in interpretation. 11. The nurse used terms that displayed a negative attitude towards the patient. “Drunk”, “obnoxious”, “irritating”, and “demanding” revealed the nurse’s attitude and when coupled with a bad outcome, makes others wonder if the nurse provided good quality care. 12. The nurse accepted a questionable or incomprehensible order without questioning it. The nurse failed to question orders that he or she did not understand or feel were not in the patient’s best interest. 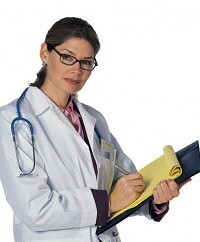 Fatigue, distraction, and language barriers contribute to miscommunication, the number one reason for medical errors. I think there are multiple factors that come into play: nurse fatigue, communication misunderstandings, fear and/or lack of confidence, an unfortunate increase in negativity and lack of education. Yes, there are so many factors that affect documentation.